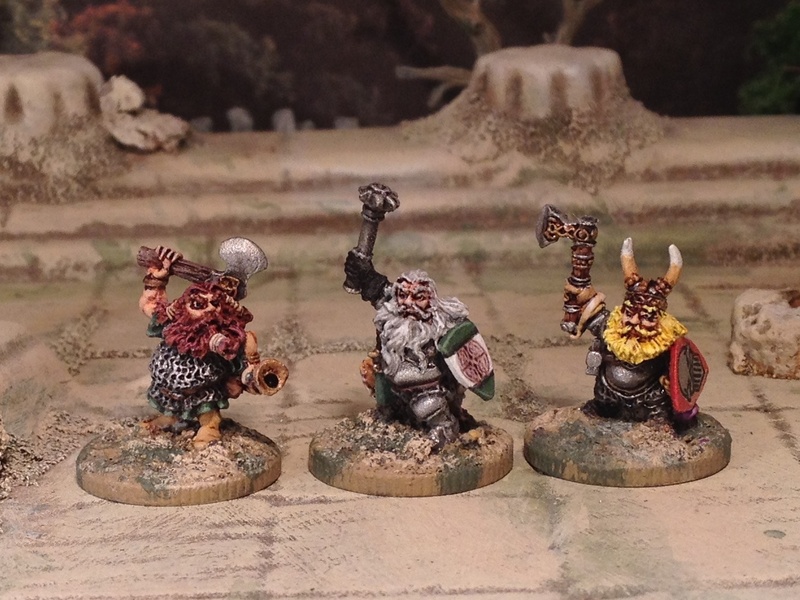 Who doesn’t like a lot of dwarfs? Another reason for this post was to show some rather promising results from home-made, home-printed, decals (transfers in the Queen’s language). 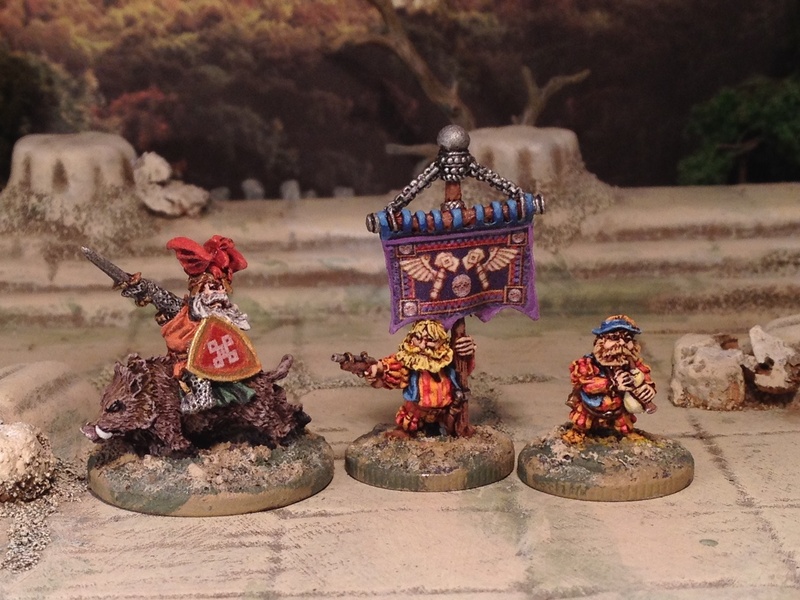 This particular batch of dwar-ves-fs contained no less than 4 banners so I thought it worth the effort (which was much and nowhere near what it would of taken to freehand these – if I could!). 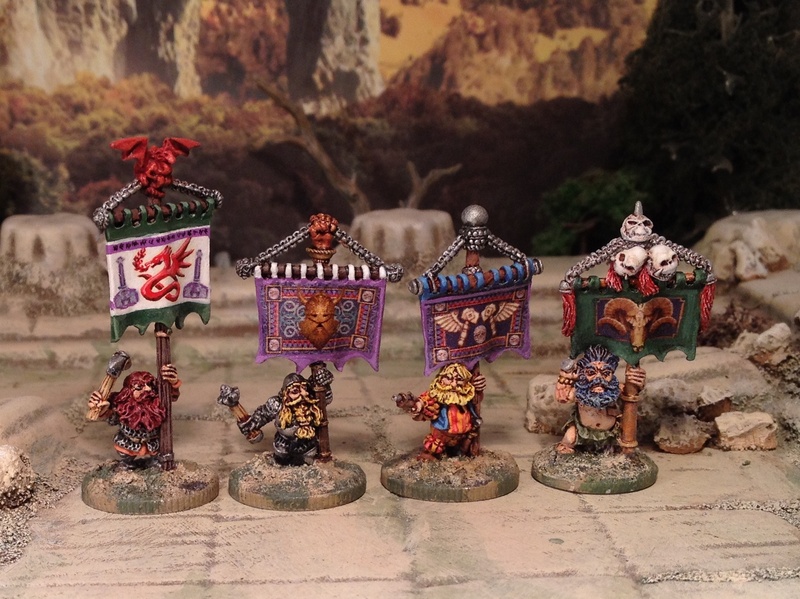 The four banners – the one on the left is mostly freehand apart from the hammers, the rest are decals. I think the difference shows and the homemade ones work for me. 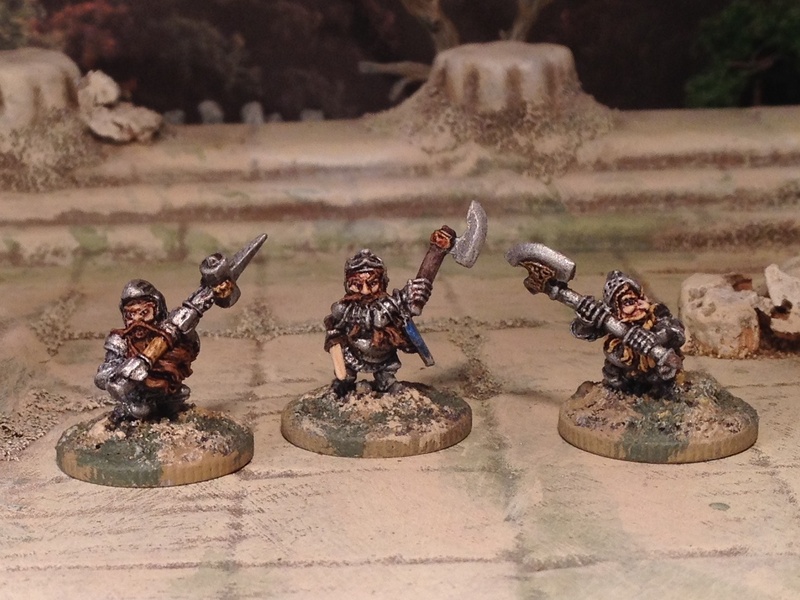 The two chaps on the right are part of another unit that needed ‘finished’. An Empire Arquebus unit. The banner is mostly decal/transfer aside from the purple frame. 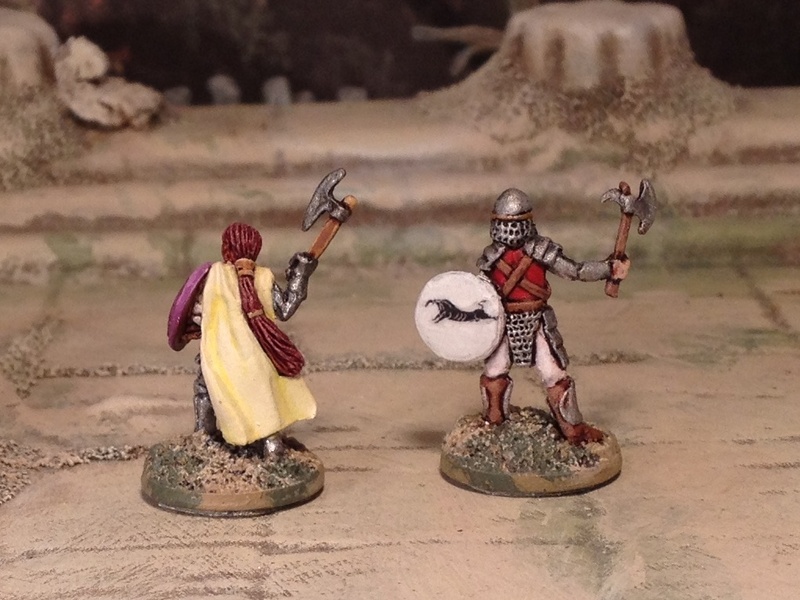 General on the left has a homemade shield transfer. 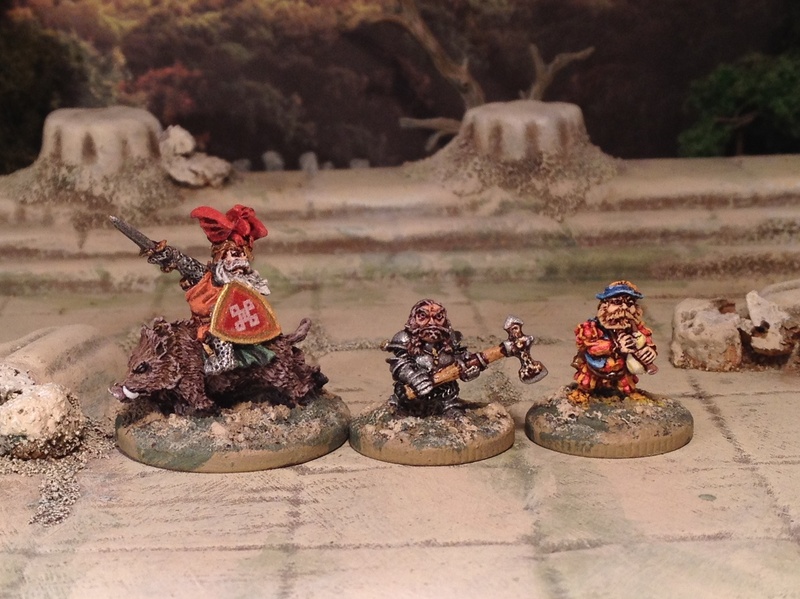 Dwarfs on the left has a LBM medieval shield decal. Centre dwarf with a homemade decal, one on right an old 40k transfer. 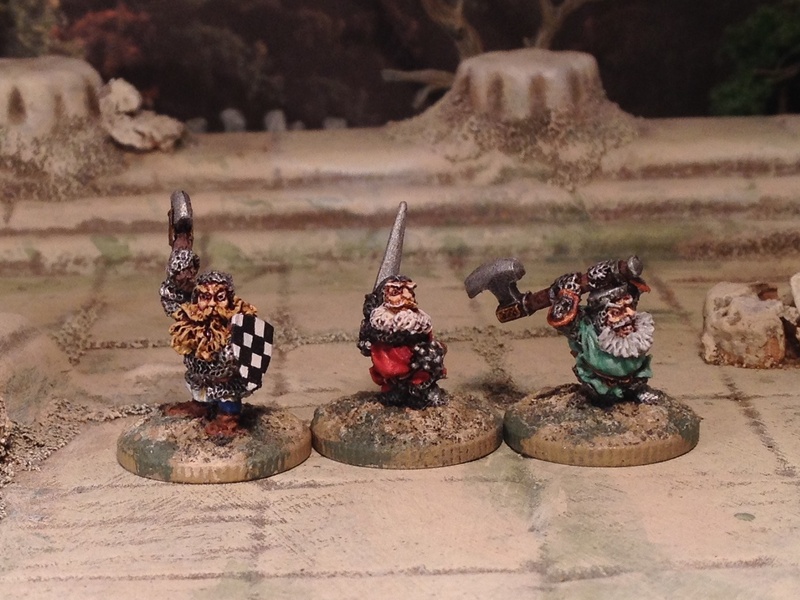 Just dwarves. 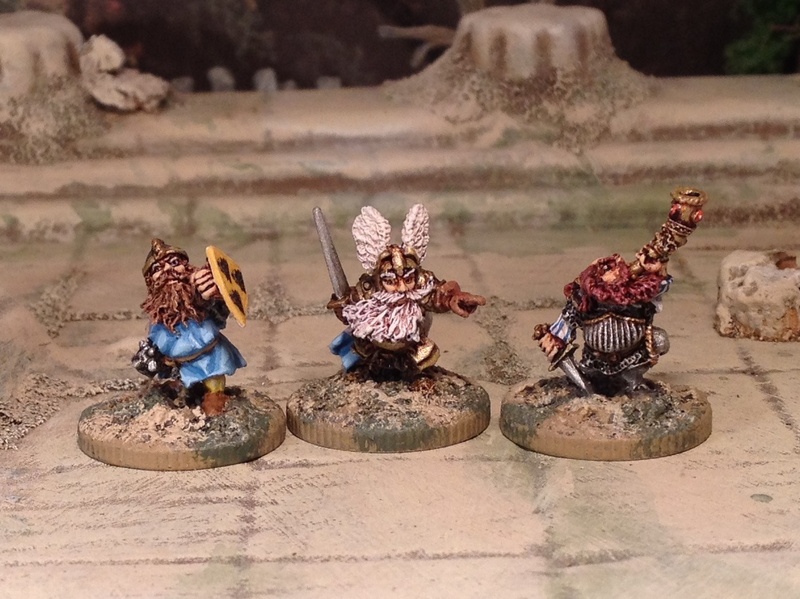 Or maybe dwarfs. 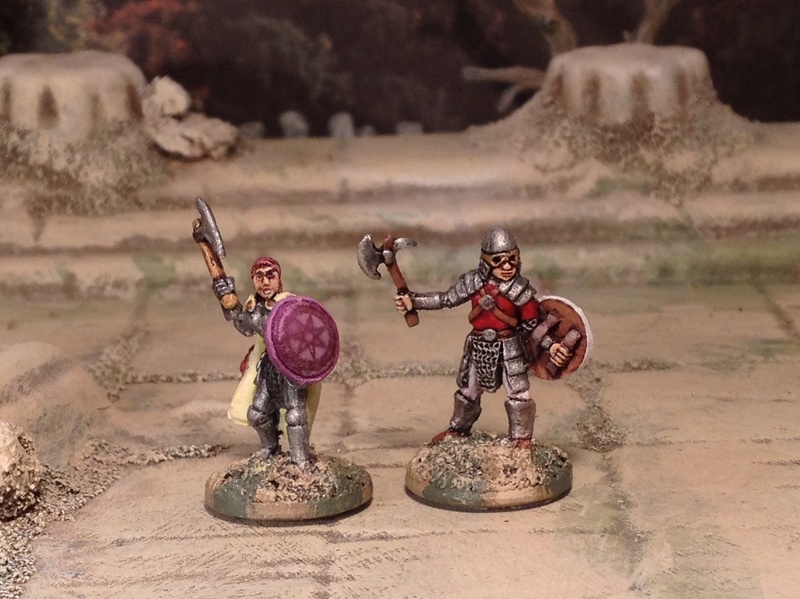 A couple of Splintered Light 15mm Fantasy miniatures I painted up at the same time as the dwarfs – included here because I used home-made transfer decals on one of them too (the star pattern – the ‘bull’ is from a Little Big Man Studio Greek Hoplite sheet). It highlights, as do a couple of the others, the importance of the colour sitting behind the decal which can have a big impact on the end result. Not quite a detailed enough report on the use of homemade transfers/decals to justify the ‘Hobby Help’ title but if anyone wants any more info so they can give it a go themselves please just ask. So, what is your secret to homemade decals/transfers? I gave it a try a few years back on an inkjet printer and was less than wowed by the results. Plus, they faded over time, and I am very careful about keeping my fantasy figs out of sunlight. No secrets here. I bought some decal sheets from “Mr Decal Paper” himself (via Amazon). Transparent and white versions. Sourced art online (the bigger and higher the resolution the better). Scaled to appropriate size. I laid them out in Illustrator to maximise use of decal paper and avoid wastage. Print. (Decent but not expensive inkjet printer). On close inspection the print quality is nowhere as good as photopaper or the like, but nothing too noticeable from more than 6 inches away. Not as good as you’ll see from Little Big Man decal sheets. I think the ‘tricks’ if there are any, is the sealing and background colour. The decal paper came with a guide which included varnishing the decal before application (I did try one ‘without’ this step (impatient) and it doesn’t work). Need to seal in the ink before applying water. I was very cautious about the water application and only applied it to the back paper which works and means less chance of water meeting the ink directly. Varnishing after application will seal it some more. Hopefully also protect them from fading. I’ve had several errors when not using a suitable background colour. If using the ‘white’ decal paper make sure the background IS ALSO white to avoid muting the effect. If using the transparent paper make sure the background is a suitable shade/colour for the design being put applied. 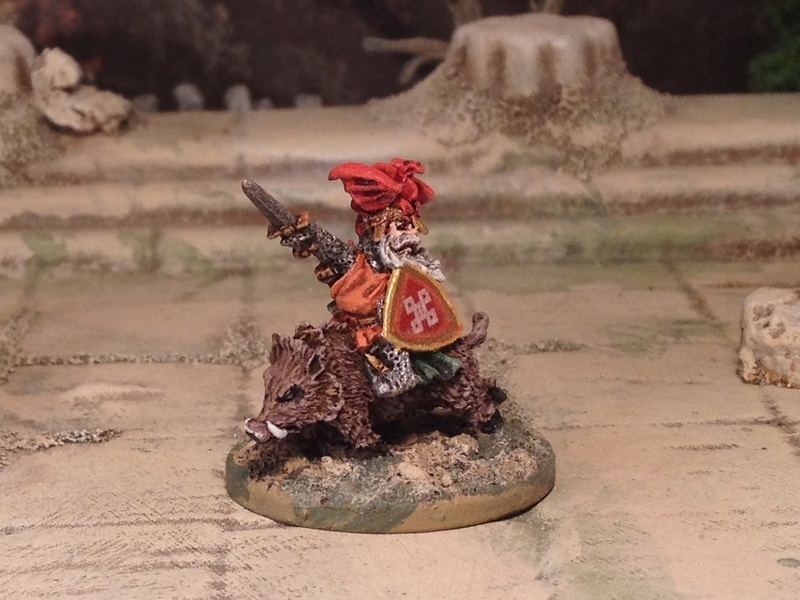 These dwarfs are good miniatures with too much details for some of them. Your transfers are cool too. I have always had the slackness to make mine for my flags. To believe that I prefer them missed. 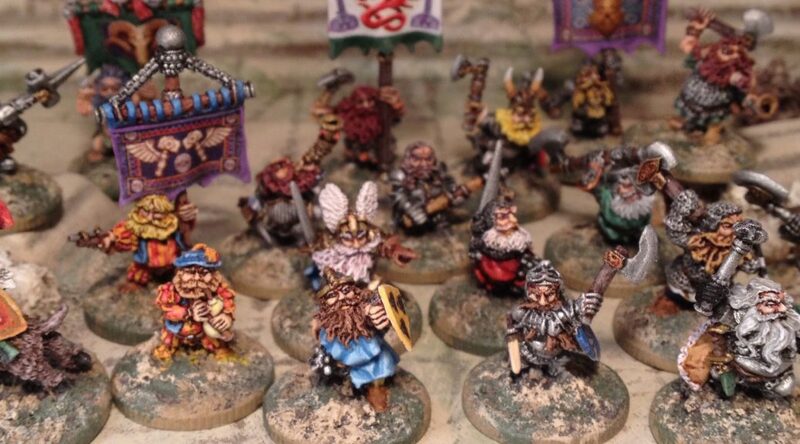 Wow, nice, you even painted their eyes, I consider myself a pretty good painter, but I have never attempted to paint eyes on a 15mm figure let alone a Dwarf, (although I have painted eyes on 20mm figures) great job on the banners to, outstanding all round. Thanks Dan – If I didn’t do the eyes, how would they see anything? Thanks Zee. Can’t rate DW high enough. No doubt Copplestone would give the DW range a run for its money if it were only larger and further reaching – but it isn’t unfortunately.